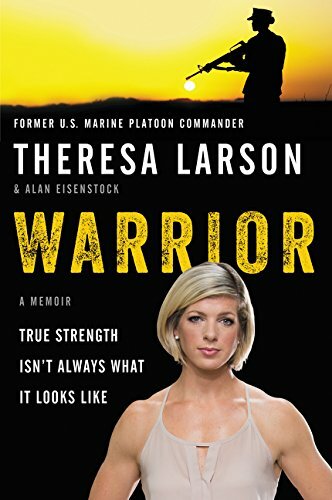 Dr. Theresa Larson is the president of Movement RX, host of the “My New Normal” podcast, author of the book “Warrior: True Strength isn’t always what it looks like,” former Marine Corps Engineer Officer and combat veteran, physical therapist, Mobility WOD Speaker and a former All- American division-one softball player. By chance, I came across Dr. Larson’s LinkedIn post (below) and I felt an immediate connection to her mission because it seemed like we were both speaking the same language. After having the opportunity to speak with her on the podcast, it turns out we really are speaking the same language! What it was like for Theresa to participate in ROTC and Division 1 Softball while attending Villanova. How the Marines became her new sport with higher stakes after softball. Why the transition from the Marines to civilian life was really tough. The process of losing the love for softball while playing professionally in Italy and shifting her passion to physical therapy. Theresa’s unique approach to physical therapy. How Theresa was able to overcome disordered eating that stemmed from stress. Why a warrior is someone who takes ownership of their health. Are you a bully to yourself? Ways to take inventory on how you are talking to yourself. How to use fear as fuel. Work with adaptive athletes including Kionte Storey from episode 13. Focusing on what works and not the problems. How to gauge if you are overtaxing your nervous system. Dr. Larson and her busband. My New Normal podcast and why everyone can relate to it. Focus on mental health in the podcast and how guest overcome these. Who are you when you strip away your work our your craft? Why your goals have to match up with reality and why your life and mindset need to support those goals. WHERE CAN YOU CONNECT WITH Dr. Larson?